Hello, CSIR NET aspirants. Shomu's Biology is introducing the CSIR NET life science mock test facility to all the CSIR UGC NET JRF candidates across India to appear for the CSIR NET mock test on life sciences so that you can check the quality of your preparation. 1. Mock tests will be exams based on CSIR UGC NET question pattern and up to the standard of the CSIR question type. 2. Mock test will be conducted Online. You need to log in using your Facebook account to access the test from home. 3. A total of 13 Unit tests will be there covering all the units of CSIR UGC NET syllabus plus there will be one Grand mock test covering all the units together. 5. There will be the 3 Grand Mock tests covering all the 13 Units of CSIR NET syllabus. 6. 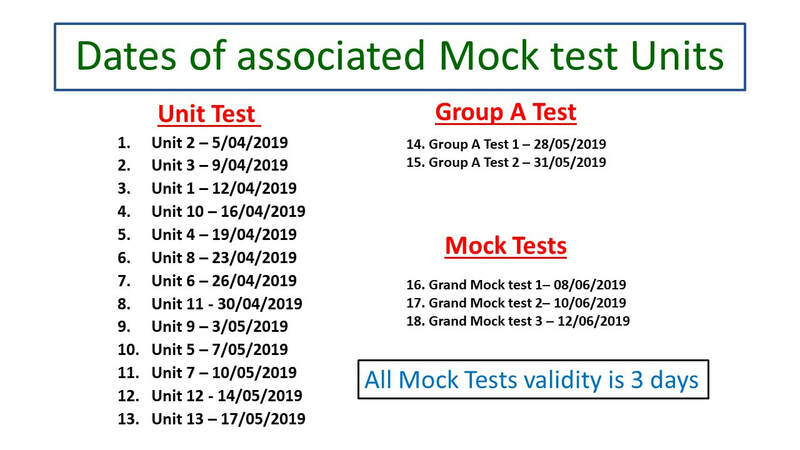 Each Mock tests will be of Marks 50 and the grand mock test will be of 200 Marks and you will get 1 hour to solve 50 Marks test and 3 hours to solve 200 marks test. 7. Results will be published after 3 days from the end of Mock test date. 8. We will also provide you the soft copy of the question and answers asked in the mock test. 1. First you need to pay the fees for the mock test which is Rs. 3100 payable one time. 2. Once we receive the payment we will confirm your seat and send you a receipt of registration along with the Mock test kit that will contain all the instructions of the test and schedules. 1. We will provide you a link through email, that will carry the Mock test redirection site. You need to click this link and start the test. You have to attend all the questions. b. You can appear for the test anytime during the mentioned date period. c. You can attempt the test 3 times maximum if it failed to connect or due to any technical issue. d. Once you start the test, you will be committed to the test and you have to complete that otherwise your attempt will not be calculated. e. In case of multiple attempt, we will provide the earlier attempt responses as priority to mark your score.